The first step is making sure the file is saved as a .csv. 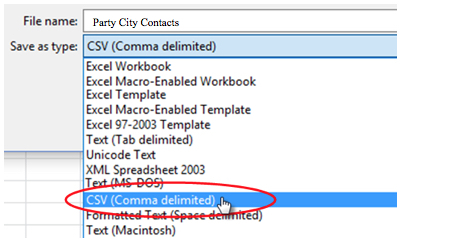 If not you can open your file, select "Save as" and choose the CSV (Delimited) file type. The file should have at least one column with contact(s) email address. A second column can be included with the contact name. The columns should be titled Name and Email.